Dr. Iva Keene joins us today and brings with her a decade of experience in treating challenging fertility cases all around the world. In this episode we explore the question, “can you improve egg and sperm quality?” Many conventional doctors say, “no” while Dr. Iva says, “yes, but you must understand what that means.” Once you know what that means (and what you & your partner can do) you will feel empowered and excited. We talk about what’s impacting fertility in today’s world from Genetic Polymorphisms to declining sperm quality. 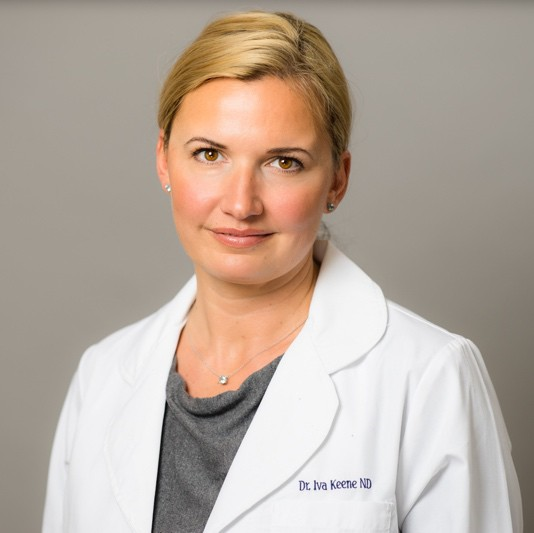 Iva discusses important diagnostic tests such as food intolerance, MTHFR genetic mutation tests and why these tests can reveal very important factors that are causing infertility and miscarriages. Secondary infertility and its causes are discussed and Iva gives advice to those with secondary fertility or who have miscarried to before trying to conceive again. Iva also gives diet and lifestyle advice to women who have been diagnosed with PCOS and reveals what is absolutely crucial in managing this condition. We wrap up the episode discussing becoming a mom in your forties. Both Iva and I became first time moms at 41 and 42 and discuss having healthy babies at an older age has more to do with biological age than chronological age. 1:44 Egg and sperm quality-can it be improved? Iva sets the record straight. 7:38 Genetic Polymorphisms-what are they and how are they affecting fertility? 11:41 Secondary infertility-what changes occur that result in difficulty conceiving the second time? 15:13 Do men have a biological clock? 17:26 Before you try to conceive again after secondary infertility or miscarriage. 21:43 Folinic acid vs. folate-why is one better than the other? 25:33 Food allergies-do foods affect fertility? Tests and common food allergies discussed. 34:25 Gluten-is it really that harmful and if so why? 42:59 Foods to avoid when optimizing fertility. 49:21 PCOS-how to manage it successfully with diet and lifestyle. 56:52 How do you start your day? Keep those insulin levels from spiking is crucial for hormonal and reproductive health. 58:34 Sweet tooth? Iva discusses underlying causes & solutions. 61:24 Information on Dr. Iva and her coaching program. 64:00 40+ and pregnant- having healthy pregnancies and babies in your forties.